Olivier Messiaen and Elliott Carter have centenary celebrations on consecutive days in December 2008. I have already written my first post on the Messiaen celebrations, so here to maintain the transatlantic balance are a couple of lesser known CDs of Elliott Carter's music that are well worth exploring in his centenary year. 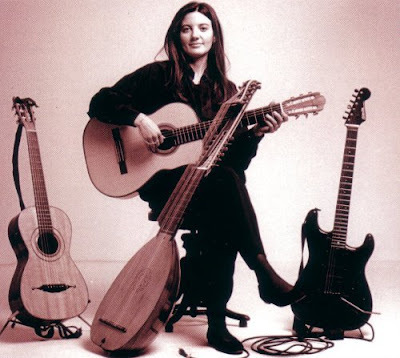 Cedille Records is the independent label of The Chicago Classical Recording Foundation. 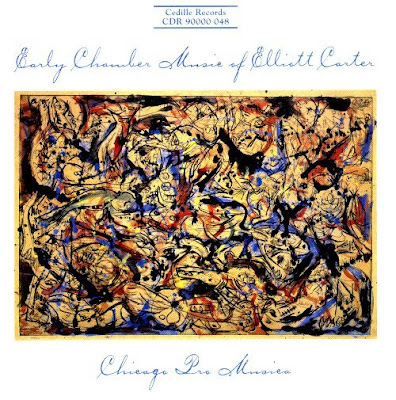 Their CD Early Chamber Music of Elliott Carter (sleeve above) played by Chicago Pro Musica captures works from the transition period when Carter was moving away from Copland and other influences and finding his own distinctive voice. If you still think Elliott Carter's music is 'inaccessible' you will be delighted by this 1999 disc. A bonus are the excellent, but English only, sleeve notes from Stephen Heinemann. Amen to that last sentence; I'll make it my mantra for 2008. Continue the journey to Terry Riley here.